Located in Marshall, Virginia, Merchant Software Corporation specializes in the development and distribution of point-of-sale and inventory control software for retail businesses. 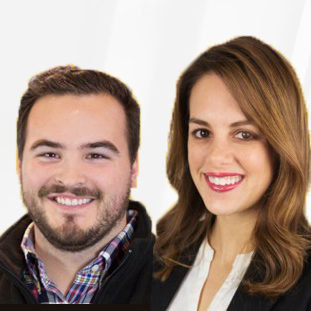 The company was founded in 1995 after owner Bill Simmeth acquired LiquorPOS and decided to further develop the inventory management software. 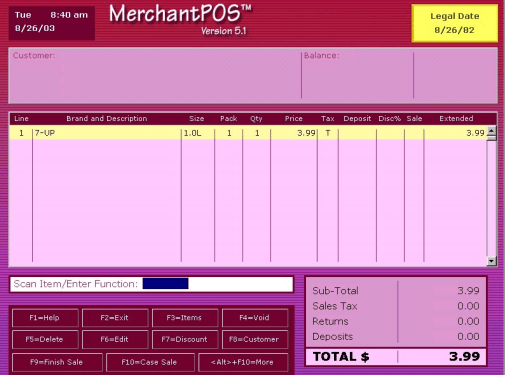 Merchant Software Corporation’s next retail POS software product, MerchantPOS, was released in 2003 in response to a growing need of small grocery stores, convenience stores, and other general merchandise types of businesses for a dedicated point of sale software to meet their needs. The company has more than 3,000 installations in retail establishments in the United States, Canada, and the Caribbean. MerchantPOS is a fully featured retail management software solution that runs on a Windows OS platform, making it easy to use by nearly anyone with PC experience. The interface is navigable through the click of a mouse, and features include quick and easy customer check out, pricing and inventory information management, receipt generation, customer information and loyalty program management. It also provides the ability to generate bar codes for both pricing and for personalized customer loyalty cards and discounting, and the ability to track sales by a variety of criteria, including date, brand, and distributor. MerchantPOS also supports restricting data and selected functions to authorized employees only and includes accountability features, such as sales tracking by employee. Data can be imported and exported from MerchantPOS to word processing and spreadsheet programs, and the general ledger merge feature allows accounting data to be shared with popular third-party applications like QuickBooks or Peachtree. Learn everything you need to know about MerchantPOS. Our experts will reach out to you shortly.